Today opened my eyes to the importance of collaboration and participating in an honest exchange. 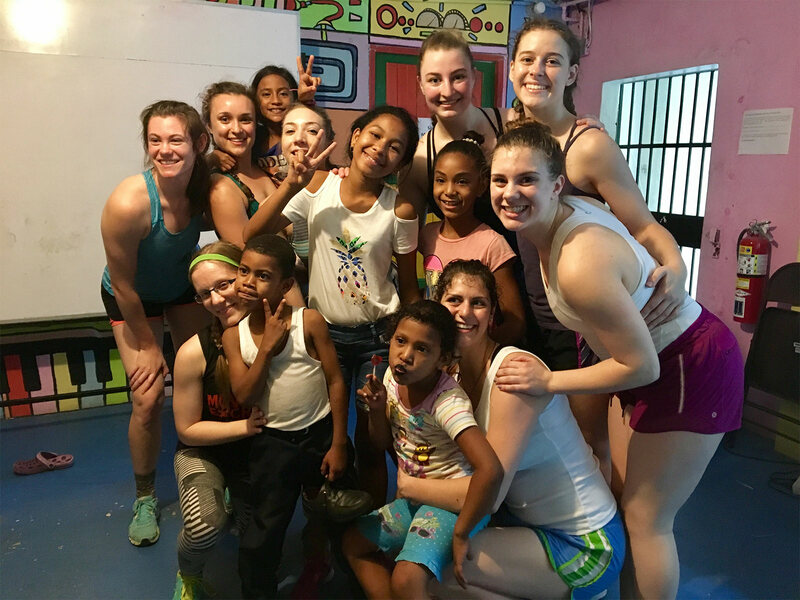 Upon entering the Danilo Perez Foundation, we were prepared for a structured class with both a younger and older age group. Once classes began, we quickly realized we had to scrap our previous plans in order to attend to the chaos that arose. This resulted in us catering to their particular interests. With the younger kids who responded well to music, we engaged them in rhythmic patterns as well as games. When it came to the older kids, it was evident that a typical jazz or contemporary class was not the way to go. Seeing some of the kids improvising and showing off their social dances, I asked the kids “te gusta hip-hop?” and the desire in their eyes was so evident. Thinking on her toes, Alyssa Brutlag quickly developed a hip-hop combination incorporating some of their favorite moves as well as several new steps to add to their vocabulary. Not only did we get to see the kids in their element, but we were also able to build upon their interest with the hip-hop knowledge Alyssa brought to the table. We are not here solely to help; we are in Panama to participate in an exchange – to learn just as much as we are teaching. Our responsibility as dance diplomats is to create a safe and secure environment for movers and shakers to express themselves individually, fully and honestly. When we begin to create that open space, it can lead to beautiful things. These girls, with a love for hip-hop, can express this passion openly because of the collectively secure atmosphere that was created. I am continuously in awe of the creativity that arises from a willingness to collaborate with these kids in Panama. What an amazing exchange we receive through the language of dance. You are never done learning, and sometimes the greatest teachers are those who have such a distinct passion to learn.